Tafseer Surah Kahf – Drop in for free! 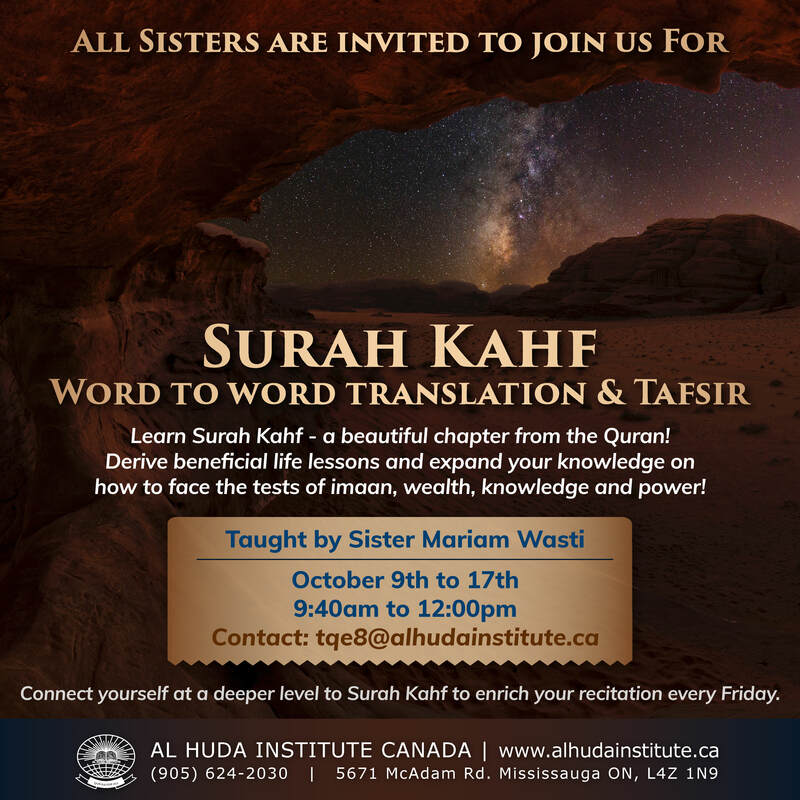 We’re excited to invite all of our Sisters to join Taleem Al Qur’an for just 7 days to learning Surah Kahf (word to word translation and Tafsir)! ⛰️ Starting: October 9 to October 17, 2018! ⛰️ Don’t miss out on this amazing opportunity to better connect with Surah Kahf and learn from the great gems in this Surah! ⛰️ Truly understand the wisdom behind why we should recite this Surah every Friday! ➡️ No registration, no fees, just drop in and join us! Can’t make it? Follow us on Instagram for a live stream!